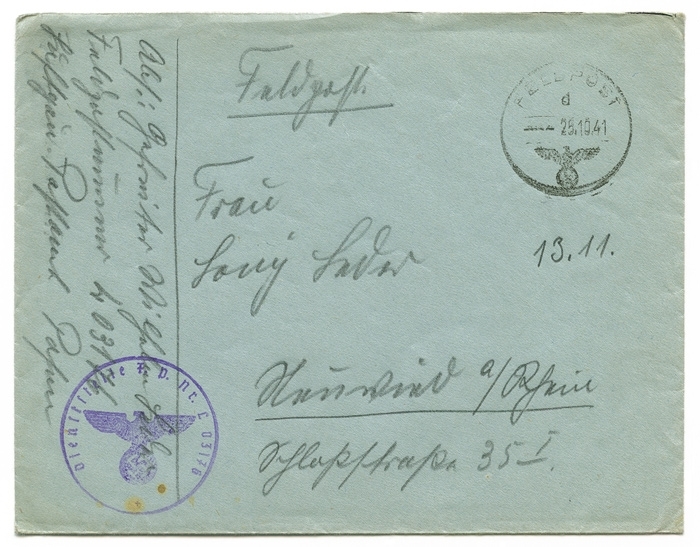 The project Reading Group Liebe Lony is built around a collection of letters written by my great-grandfather, then a soldier in the Wehrmacht, to his wife and daughter during World War II. 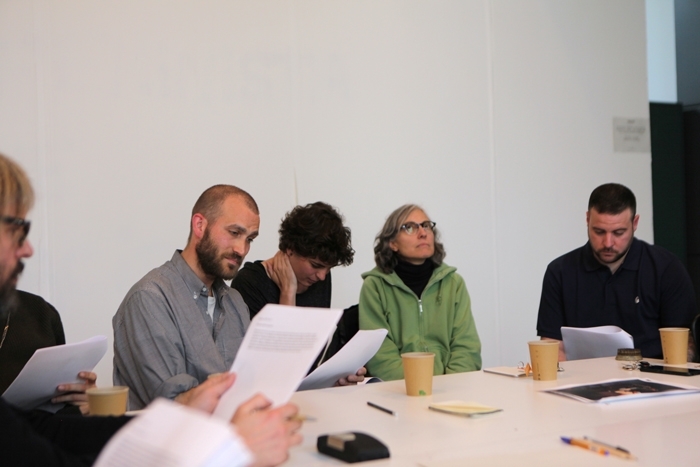 The format of the reading group responds to the desire to no longer consider these documents solely as an object of personal study, but rather as a possible meeting place open to the questions and desires of others, where the interpretation and scope of this historical material today can be discussed collectively. The aim of this project is on the one hand to give voice and visibility to a material that at first sight might seem problematic and on the other hand to provide initially private documents with a multiplicity of voices. 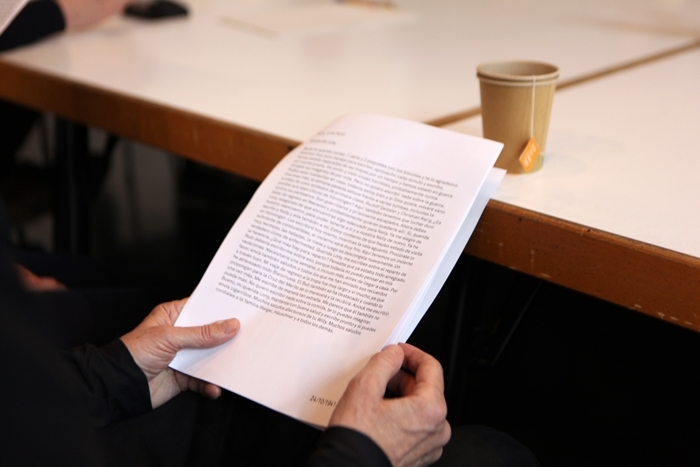 Following the collective reading of a selection of letters, the event opens up on a time for reflection and discussion, both critical and affective. 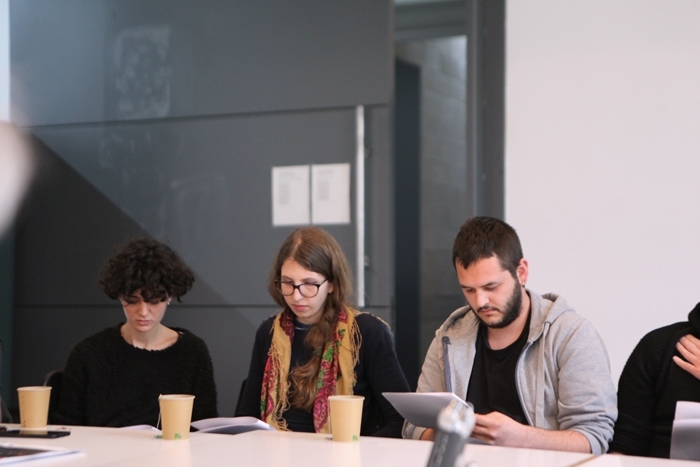 Unlike a more conventional reading group, participants and language may change from one session to the next, as the event takes place in different cities, countries and contexts (the project is therefore also based on transcription and translation work). 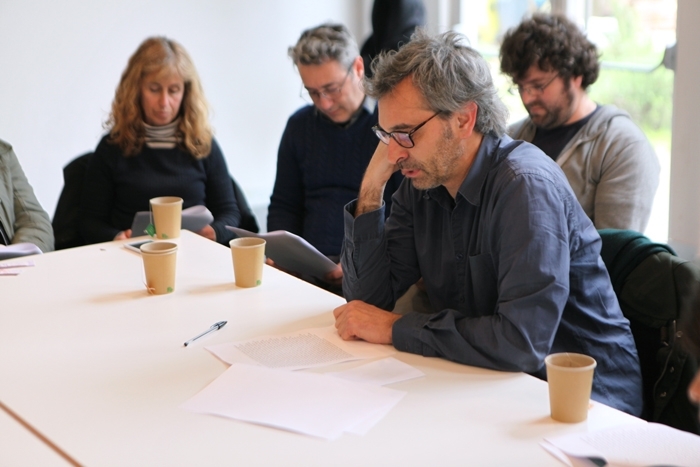 The objective of Reading Group Liebe Lony is to read over the sessions the entire correspondence with a community of intergenerational participants from different social and linguistic backgrounds. Views of the event at L'Estruch · Fàbrica de creació de les arts en viu, Sabadell (ES). Photos by Ikram Bouloum Sakkali.